It was in May of 1991 that Bletchley‘s fortunes changed after a small local committee gathered a group of veterans at the park to say a final farewell to the historic location. But the group became determined to turn it into a heritage site after hearing the astounding stories of so many code-breakers, engineers and members of the Women’s Royal Naval Service (WREN) who worked at the park during the war. 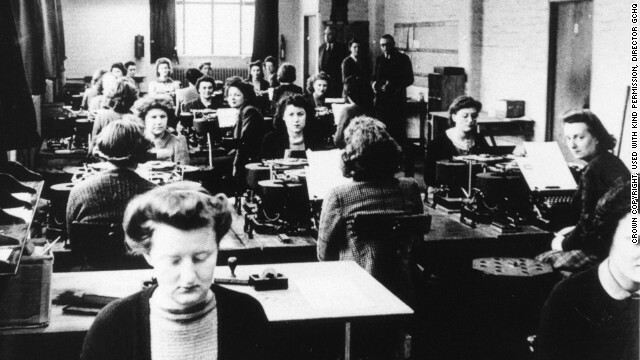 The Bletchley Park Trust was formed the following year, and from then on, regular reunions and exhibitions at the estate have enabled its former workers and inhabitants to share stories that were on the precipice of being lost forever. Comments closed — Trackbacks closed RSS 2.0 feed for these comments This entry (permalink) was posted on Thursday, July 24, 2014, at 17:30 by thf!. Filed in memoria.